Our Pick Of The Month, Crooked Numbers by Tim O’Mara, uses New York City as a rich canvas. His hero, Ray Donne, is a man involved deeply with his city and its citizens. When we asked Tim to give us five of his favorite New York novels, his respnse was, “Only Five?” Here they are in no particular order. 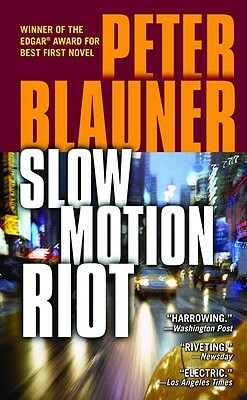 Peter Blauner’s Slow Motion Riot floored me. His “hero” is a probation officer–with a liking for the booze, as well–who gets caught up in an out-of-control situation involving one of his parolees, who just happens to be a violent sociopath. Blauner gives us an insider’s view into one of NYC’s more dysfunctional agencies and the politics behind it. 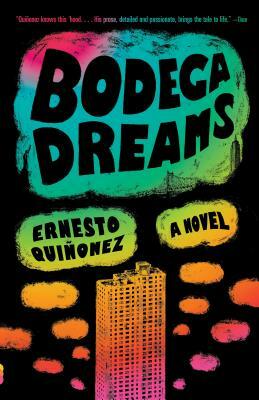 Bodega Dreams by Ernesto Quinonez taught me not only how to write cliché-free about life in the projects, but also how to make fiction read like memoir. Quinonez poured his heart and soul–corazon y alma–into this book and I’d love to sit with him one day and talk about the “real” parts of this book and those he made up. 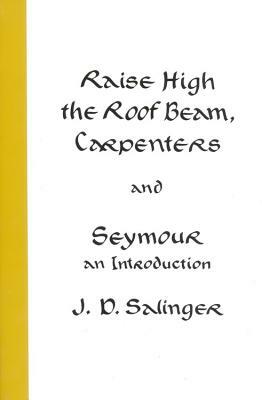 And, to get away from the crime stuff, JD Salinger’s Franny and Zooey and Raise High the Roof Beam, Carpenters and Seymour: An Introduction. Short stories by one of the masters of the form. These stories are better–more laser like–than Catcher in the Rye. 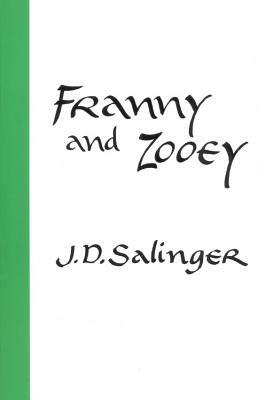 Here Salinger’s taking snapshots of the people and the places–mostly wealthy–he knows well. Not all the stories take place in NYC, but the city runs through these characters’ blood. In 2012, I received an unsolicited book, The Case of The Deadly Butter Chicken, by Tarquin Hall. I gave it a try, and liked it. It was not a heavy read, but it was fun and charming. Since it was set in India, and also comments on the society there, it felt a bit educational, as well. I had a pleasant interview with the author. So, when I received a copy of his new book, The Case of the Love Commandos, I quickly agreed to do another email interview. This book has even more social commentary than the last. So, I wanted to make sure to ask questions about the issues raised in the book. If you want to read a charming and fun book about a detective (Vish Puri) in India who loves to eat, try this book out. A bonus is that Hall always includes a few recipes in the book, as well as a glossary of words used in the book that those not living in India may not know. Tarquin Hall is a British author and journalist who lives in Delhi. 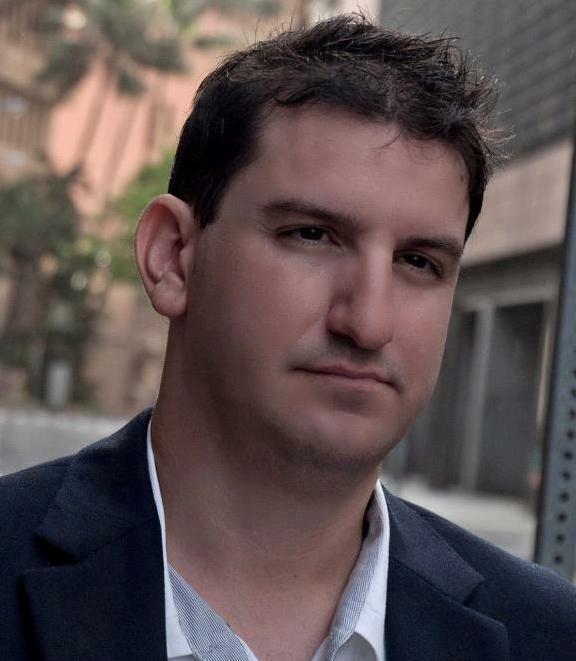 His Vish Puri series has received praise from authors and critics like Alexander McCall Smith and Marilyn Stassio, crime novel reviewer for The New York Times Book Review. TARQUIN HALL: I’d heard of the Love Commandos, a real life charity that works with young people from different castes and religions who want to marry against the wishes of their families. At the same time, I wanted the fourth book [in the series] to be set in rural India and to explore the caste issue. So, bingo, the two ideas came together. And, I came up with the love story idea: a boy from an untouchable family running off with a high caste girl, with the Love Commandos helping them out. Then, I read an article about how researchers have been mapping the human genome here in India and how fascinating the findings are proving to be because you’ve had different endogenous groups of people living in the same communities as one another and never mixing for centuries. So, that became a big part of the plot, too. Basically that’s how I work: I find what I want to talk about, so that each book tells you more and more about India. Then, I try to come up with a decent plot. MP: How would you summarize the book? TH: It’s basically about how caste continues to dominate Indian society and politics – less so in the cities. But, to be honest, even in a place like Delhi, it’s a big factor in most communities. It’s an extraordinary thing, caste, unlike any other system that exists in any other society I’ve come across. If you’re unfortunate enough to have been born into a low caste, the chances are you will still end up doing the most menial of tasks. It is changing slowly. And, there are many, many exceptions. But, generally speaking, that’s still the case. TH: I spent quite a bit of time with the Love Commandos, seeing how they work. I met run away couples in safe houses here in Delhi. These couples were on the run from their parents. Some of them were worried that they would be killed if they were found; that their relatives would do anything to stop them marrying someone from another caste or religion. You have to remember that 99% of all marriages in India are arranged. So, the parents and the rest of the family have to give their consent. MP: Where do yourself stand on the topic of arranged marriage? Why did you decide to include the debate over the topic in this book? TH: It’s definitely better to have choice in my opinion; to be able to have a say and decide for yourself. And, obviously, sometimes arranged marriages can be absolutely terrible, with people locked into an awful situation with someone they don’t love – or worse with someone who persecutes them. That said; I have seen a lot of arranged marriages that work very, very well. People get on, learn to love one another. When times get tough, I think, sometimes, it helps to feel this sense of commitment to not only your husband or wife but the rest of the extended family. MP: Some of the capers in your books, especially those involving Mummy, are quite funny. Do you smile or laugh as you write those? TH: Yes, absolutely. Sometimes, I just burst out laughing and can’t stop. That’s a great feeling. In fact, as a writer, I don’t think there’s anything more satisfying. MP: I found fascinating the explanations of the caste system, the Yadavs and the Brahmins. Can you explain it to our readers, and talk about why you decided to include that topic in this book? TH: Well, as I show in the book, the power and position of the different castes has shifted in the past 60 or so years. Traditionally, the Brahmins (the priestly caste) have been at the top. But, nowadays, that’s not always the case. Not all Brahmins are necessarily priests. Even if they are, they’re not necessarily that well off. Because of the affirmative action system set up after India gained its independence from Britain, there have been government job quotas for the lower castes. So, that’s empowered some of them, and in some areas – it’s hard to generalize – altered the local power structure. Democracy has also played a big part in bringing change. The lower castes have become powerful politically as they represent big vote banks. The Yadavs, whom I write about in the book, are a good example of this. MP: Was it hard deciding which Hindi words to include in the glossary? TH: Not really. Some are absolutely necessary. You can’t write about, say, caste or Hindiusm without using some words that people outside India are not familiar with. But, there are others that I include because I think they enhance the sense of place and language. That’s the case with food, especially. Also, people here will often mix Hindi and English – use a word that doesn’t translate or for which there’s only really one word, and that’s fun to reproduce. MP: How about deciding which recipes to include in the book? TH: That’s tougher. Because, there are so many that detective Vish Puri likes! But I generally go with ones that have been mentioned in the book. To be honest, it’s kind of an afterthought. But, with book number three, The Case of the Deadly Butter Chicken, I obviously had to go with butter chicken! MP: How would you describe the protagonist, Vish Puri and his competitor? TH: Puri is in his mid fifties, overweight, extremely pompous, but very honest and sincere. He’s rather old-fashioned – likes to hang out at his gentleman’s club and drives an old Ambassador car, which is very outdated. His methods are sometimes a little suspect, and he relies a lot on his undercover team who go into all sorts of situations. TH: Actually I got asked an interesting question, recently. An elderly gentleman, at a book promotion event – this was in the States – asked me whether I thought people from different countries and cultures were that different from one another. I think he was asking in the context of terrorism and trying to understand why people wanted to kill innocent civilians. I answered, along the lines that geneticists have found that we’re about 98% the same. Skin colour, shape of the nose – that’s all determined by about 2% of our DNA. 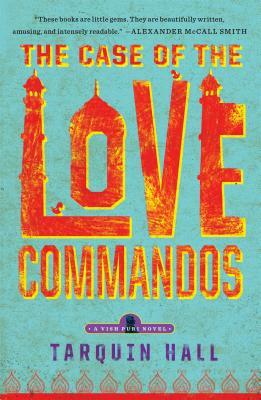 Copies of The Case of the Love Commandos are available on our shelves at BookPeople and via bookpeople.com. 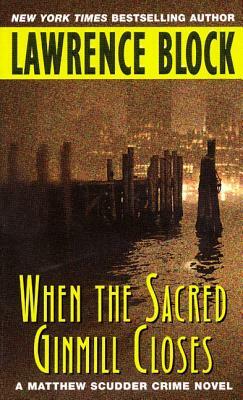 Our History Of Mystery Class moves into the ’80s with an author who would change the thriller forever, Thomas Harris. His second novel, Red Dragon, practically created a sub genre. It also gave us two characters who redefined the protagonist and antagonist in crime fiction, Will Graham and Hannibal Lecter. Heavily researched, Red Dragon took on the procedural mystery, leaning heavily on forensics and the art of profiling. Our hero, Will Graham, is a retired FBI agent who is brought back into service to track down a killer striking families across the U.S. He is so good at getting into a murderer’s mind, he has the potential to have a psychotic break. For help he must consult the killer who put him so close to the edge, Hannibal Lecter, one of the most sophisticated sociopaths. Lecter set the standard for the serial killer after his appearance in Red Dragon and its sequel, Silence Of The Lambs. Our discussion of Red Dragon at 6PM, Sunday November 3rd will be preceded and followed by two screenings. At 4PM we will watch Manhunter, the first film to adapt Red Dragon directed by Michael Mann. After the discussion we’ll view the pilot episode of Hannibal. 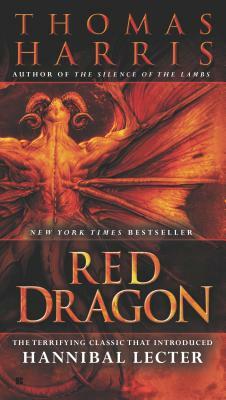 Copies of Red Dragon are ten percent off for those planning to attend. Our next discussion on December 1st will be on Elmore Leonard and Out Of Sight. Tim O’Mara’s Crooked Numbers is our pick of the month for October. In it, he shows a great feel for his New York streets. He was kind enough to share this shorter tale from the Big Apple that makes us here at MysteryPeople wonder about his “technique”. He removed his cell phone from his jacket pocket, found the GPS app, and turned it on. Within thirty seconds, the GPS had locked onto the device he’d installed on his laptop for just this occasion. Whoever had it, was moving west—a blue dot—towards the Hudson River, a few avenues away from where he’d parked on a Hell’s Kitchen side street. As he walked passed the Midtown North precinct, he caught himself smiling. Sure, it would be easy enough to go inside, explain to the uniform working the front desk what had happened, and sometime within the next hour or so one of the bored cops might head over to the river and look into the matter. By that time, the laptop thief would be long gone, as would his laptop. No, this was something he needed to take care of by himself. After all, he was the one who’d left the damn thing right out in the open. Like he’d been asking for it. He zipped up his jacket, put a glove on the hand that held the cell phone and put the other hand in his pocket. A wintry breeze was coming off the Hudson making the already chilly air feel about ten degrees colder. The tiny park he had entered was officially called Clinton Cove, but nobody called it that. It was usually just referred to as the Hell’s Kitchen Pier. There was a group—a gaggle, he remembered—of geese hanging out on the lawn eating what was left of the brown grass and crapping all over the “No Dogs Allowed” area. Come springtime, the grass would be green again, benefitting from all that free fertilizer. Sitting on a bench facing the water, was a solitary figure: the blue dot was now humanized. As he got nearer, he saw it was a guy in a hood-less winter jacket. Both the guy and the jacket had seen better days. He went over to a bench about twenty yards away and sat down, slipping both hands into his pockets. He looked over after a while and saw that the guy had a bulge under his jacket. If the GPS on his phone was right, the bulge was his laptop. He took in a couple of deep breaths from the cool Hudson River air and stood up. He walked over to the guy and took a seat on the bench next to him, careful to keep the metal armrest between them. No reason to be stupid about this. The guy didn’t acknowledge his presence or even take his eyes off the river. He seemed to be in some sort of trance. High, probably. Even in the breeze, the smell of smoke could be detected coming off the guy and it wasn’t from Marlboro Country. The guy slowly turned his head, careful to keep his hands in his pockets protecting the bulge. He whispered something that sounded like “Duck Soup,” but probably wasn’t. The man smiled. That was good. “What do you got there, friend?” he asked. “Under the jacket.” The guy blinked three times and turned back to look at the river. “How much you get for something like that?” “Like what?” the guy said. The guy with the bulge under his jacket made a move to stand up. The man next to him reached out and grabbed him by the wrist. “We’re just talking here, pal,” he said. “Shooting the breeze.” The double meaning of that made the man smiled harder. Good stuff. “What even makes you think it’s yours?” the guy said. “I mean, if I do have a laptop under my jacket?” The man took his phone out, showed the map on the GPS to the guy and pointed to the blue dot. The guy looked at it as if it were the designs for a nuclear submarine. He squinted again. The guy gave the man the same confused look he had just given the map on the phone. “You a writer?” He sounded close to impressed. The guy thought about that for a bit, looking for something to say. What he cameup with was, “My parents pay taxes, so I’m just taking my inheritance early.” That was good, too. “When’s the last time you were in jail?” the man asked. “You also said you had important stuff on here.” For a junkie, this guy was a good listener. “Let’s make it a hundred then.” Bargaining. As if he had any real intention of paying this guy anything. The man pulled out the five twenties he had in his jacket, fanned them out, and let them flap in the breeze. The guy was mesmerized by the five bills waving back and forth, and handed over the laptop. When he reached for the money, the man pulled it back. The look on the guy’s face as he stared at the blade was one of confusion: Move forward or backward? He chose the first, as did the man with the knife. They met each other halfway and the blade sliced through the guy’s coat and entered his stomach. There was no more confusion on the guy’s face anymore. The look was now one of certainty. And dull pain. The man twisted the knife, held it for a three count, and then pulled it out. He looked around again and found the park still empty except for the gaggle of geese and the guy. The guy fell to his knees and looked up at the man. The man looked down and smiled. “No, I’m done with motivation,” he said. “I just needed your help with character. The dialogue was a nice surprise. Thanks.” He took a few steps toward the railing, closed up the knife and flung it twenty feet into the Hudson River. When he turned back, the guy was lying on his side, trying desperately to stop the blood flowing out from under his coat onto the white pathway. Nice imagery. 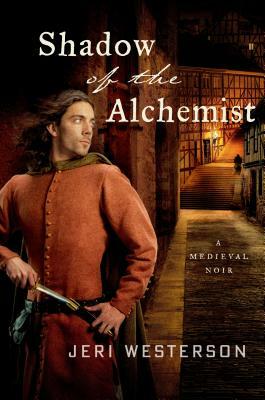 With Shadow of the Alchemist out this week, Jeri Westerson has written another thriller in a genre she calls “Medieval Noir” that is fascinating and fun to read. We have here an author writing about a male protagonist’s adventures in 14th century London. 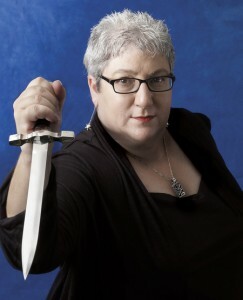 I became a fan of Westerson and her Crispin Guest series a few books ago and have been promoting and publicizing her with each book since, including Troubled Bones and Blood Lance. Crispin Guest is a detective of sorts during the medieval era, a man who was previously a knight. This fall from grace gives an opportunity to talk about class and changes in one’s life. MYSTERYPEOPLE: How did this particular story develop? How would you summarize it to our readers? JERI WESTERSON: I like to mix up the styles of the books I write, while still keeping it a medieval mystery. It’s easy to fall into something formulaic — Crispin must find a relic, there’s a murder, a bunch of history, blah, blah, blah. So if I mix it up a bit, I keep myself interested as well as the readers. I wanted to write a treasure hunt story at the heart of it, with puzzles and riddles to figure out. But I also like the idea of thriller, of time ticking and running out. Which meant that this time, some chapters are in the point of view of the kidnap victim.And since I am including venerated objects along with relics, it seemed ideal to include the philosopher’s stone among Crispin’s adventures. Alchemy also brings to mind certain mystical qualities that could be woven into an intriguing story. MP: If memory serves, you always do some research. This time did you do research on alchemy, both its history and how close they came to making it possibly work? What did you learn? Is alchemy going to be possible some day? JW: Well, technically, on a molecular level, scientists are doing it now. Not necessarily changing lead into gold, but new elements have been created. Some lasting only milliseconds, but still. In the strictest sense, alchemy is the attempt of the medieval person to make sense of the world around them. It is the precursor to the scientific method, while at the same time making use of spiritualism, mysticism, numerology, astrology, and just plain imagination. The alchemist relied on the writings of those that had come before, including the Greek philosophers and Jewish documents of Kabbalah and mythology, that didn’t so much as experiment with science but merely proposed how the world worked, without the benefit of empirical evidence. MP: Will Jack Tucker, Crispin Guest’s apprentice, get his own book or series? He’s become my favorite character. MP: What’s your writing regimen like? Do you write each morning, for example? JW: It’s a job, like any other, and so I start in the morning and tromp into my home office and work to the late afternoon. Sometimes I don’t get much done in the morning hours and work better into early evening. Because I write full time I have that advantage. I try to get in a minimum of ten pages a day. But while I’m doing this I’m also promoting past books, prepping to promote the upcoming book before its release by writing blog posts for a blog tour, doing in-person appearances, and all the promotional blather an author has to do these days. When I can, I write seven days a week. MP: How far out do you have this series planned? For example, do you have a certain idea how many books you’d like this to go, how you’d like things to end, etc? 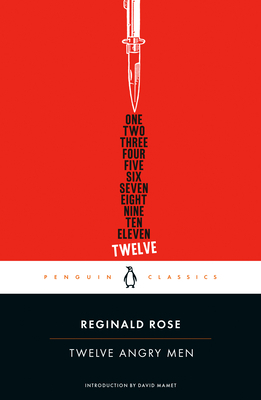 How far out have you written the series? JW: I think any series can get stale if it goes on too long. I always had a last book in mind and know just what will ultimately happen to the characters. Since I am following the actual historical timeline, it turns out to be seventeen books in all, at this point. That means eleven more to go! Unless I decide to skip a few years, in which case there might be half of that to go. I’ll have to see what the immediate future holds for Crispin and publishers. MP: Do you have any interest in writing a book outside of the Crispin series? JW: I do. Lots! I’ve already completed the first in what will be a six book urban fantasy series, The Booke of the Hidden series. It’s got paranormal big time, humor, action, romance and all sorts of fun elements. The first book is called Booke of the Hidden. MP: Why did you decide to have a character who is deaf and mute? As someone who works with people with special needs I was excited and appreciative of that move. JW: I always like Crispin to be faced with the prejudices of his era and have those entrenched ideas get turned on their ears with his personal experience. And Avelyn makes an intriguing romantic foil for him; unafraid, wise, clever. MP: Where are you taking this series next? JW: Well, that’s a good question on many levels. Ordinarily, I would already have the next one written and in the can. But without a publisher, I have put off writing the next Crispin (Shadow of the Alchemist is the last Crispin to be published by Minotaur Books). I am sad to say that it is not likely we will have the next Crispin in 2014. However, I do have it mapped out and will be writing it at the beginning of the new year. It’s called The Silence of Stones and concerns the missing Stone of Scone from the coronation chair in Westminster Abbey, three witches, a contingent of Scottish spies, and Jack Tucker in some very big trouble. Copies of Shadow of the Alchemist and all of Westerson’s books are available on our shelves here at BookPeople and via bookpeople.com. MYSTERYPEOPLE: How did the idea of Simon Fisk come about? 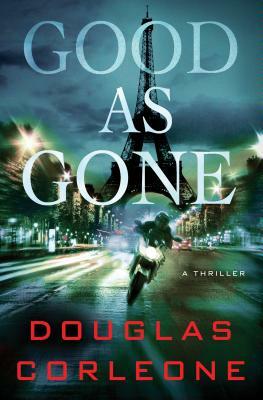 DOUGLAS CORLEONE: My inspiration for Good As Gone came from a one-page article I’d read online about a private investigator in Tampa, Florida, who specializes in retrieving children kidnapped by their estranged parents and taken overseas to countries that don’t recognize U.S. custody decisions. Fortunately, I printed the article and saved it for two years at the bottom of my filing cabinet. When my agent said that my editor would like to see something new from me, I immediately went digging and had a one-page synopsis for Good As Gone a few hours later. MP: While Good As Gone has some comic relief in it, it is more somber than your Kevin Corelli series. Did you welcome the change in tone? DC: I have mixed feelings. It’s fun to write funny, but it’s also very difficult to sustain a significant level of humor for 350 pages. I also love to challenge myself when writing, and I was happy for the opportunity to write a novel substantially darker than my Kevin Corvelli books. So I did welcome the change in tone in many ways, but that’s not to say I don’t miss Kevin Corvelli’s quirks and his unique worldview. MP: One of the things I loved about Good As Gone was that Simon has a sidekick for almost every country he’s in. How did you approach writing these characters? DC: Simon Fisk is very much a loner like Lee Child’s Jack Reacher. But, I knew he’d need help along the way. You can take a number of risks with a sidekick that you can’t take with a main character, especially the hero of a series. So, I tried to be fearless in creating characters like the Berlin Private Investigator Kurt Ostermann and the Warsaw lawyer, Anastazja Staszak. I allowed Ostermann to be as hard and as brutal as he seemed to want to be. Ana, well… Ana is based on someone I knew well and who was very special to me. I permitted Ana to be herself, and she was every bit as smart and funny, and courageous and stubborn as I expected her to be. If the real Ana reads the book – and I suspect she might, since it was translated into Polish, and is being released in Poland this fall – I think she’ll immediately recognize herself. And then she’ll insist that I got her all wrong, simply because she’s a contrarian. MP: There is a lot of globe trotting in the book. How do you go about bringing out the personality of each setting? DC: I let the characters bring out the personality of each setting. If I accomplished what I set out to, then the reader won’t notice me at all. When I read a thriller, I dread lengthy descriptions of setting. I think the setting’s personality is best established through the hero’s interaction with the place and time he’s in. If an author knows the place he’s writing about well enough (through firsthand experience and/or rigorous research), then the setting shines through as brightly as the characters and the author’s hand is invisible. Simon doesn’t stop to smell the roses; he can’t afford to. But he may spot them from the corner of his eye, and if they’re relevant he’ll tell you about them. If not, he won’t. MP: Fisk has gone through hell in his back-story. What keeps him going? DC: What keeps Simon going is empathy. He’s experienced the pain of losing everything; and if he can prevent someone else from experiencing that kind of suffering, he’ll risk life and limb to do so. He’s also keenly aware that he doesn’t want to die without knowing what happened to his daughter. He wants to know who took her and why; and he’ll never stop looking. MP: Your books are a unique mix of sub-genres. Does a writer as unique as you have any influences? The Akashic City Noir series takes a dark look at The Big D. Editor David Hale Smith has put together a range of talent in Dallas Noir. Whether crime or general fiction authors, these writers capture every aspect of the city. The collection serves as a study of the town and noir. We get it all – from the skyscrapers to the tough streets of South Dallas where hard-boiled master Harry Hunsicker’s “Stick Up Girl” resides. Going north, Matt Boundurant’s White Rock suburbs prove to be equally dangerous. We also get range in the genre. Daniel J. Hale gives us a classic noir nightmare, while Ben Fountain’s, “The Realtor” shows a subtler shade of noir. The collection is capped off with “Swingers Anynmous,” a piece from the neo noir movement by Jonathan Woods. Just try to get that one out of your head. This collection is a great literary mosaic that describes a complex city. It will also introduce you to more than a dozen authors you need to know. Grab it on November 5th. 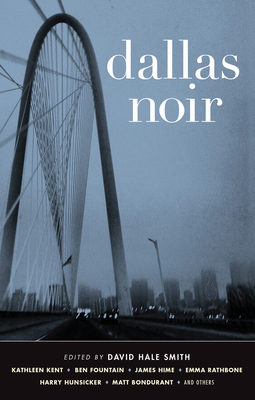 Copies of Dallas Noir are now available to pre-order via bookpeople.com.